Peugeot used to make fantastic cars, it really did. A lot of the company’s greatest hits were stunning, dependable, rugged, comfortable rides which defied all expectations you could possibly have for a car in terms of what it can do and for how long it can do it for. Over the decades, Peugeots were almost single-handedly responsible for the mobility of a big chunk of the world’s population. The company’s cars weren’t just popular in France or Europe, but also in South America and even more so in Africa with the 504 range being Peugeot’s greatest victory of engineering over…well, everything really. But the 504s weren’t just capable, they were (are) damn good looking as well. Take the 504 break for instance. At first glance it’s a nice looking station wagon, sure. Well proportioned, but seems simple enough…until you start to really notice all of the subtleties, the harmonious way in which the lines flow and complement each other until you’re left with no choice but to recognize a workhorse as one of the greatest triumphs of automotive design of the 20th century. And the break isn’t an isolated thing, the whole 504 range looks fantastic and they’re borderline indestructible if you perform even the most basic maintenance on them; the sedans and especially the breaks are still plentiful across southern Europe and everywhere across the French speaking African countries where they soldier on forever thanks to their sturdy bones and fantastically engineered suspension. Pininfarina was responsible for the 504’s iconic design. It was also responsible for the 504’s predecessor, the 404. In both model ranges the belles of the ball were of course the stylish coupes, so you’d expect them to be pricey at this point, right? Nope. It’s impossible to stress enough just how seriously undervalued the 404 and 504 Coupes are. For a long time people just kind of forgot how brilliantly elegant these things are and as a result, now they’re perfect entries into the classic car world. Today we’re taking a closer look at what makes these two cars special and in doing so, also revealing the many ways in which they stand out as particularly tempting propositions for the folks who want a beautiful classic car but aren’t able to handle huge maintenance, repair and insurance costs, starting with the 404. The 404 is on of Peugeot’s greats. It was so successful that it stayed in production since 1960 until 1991; long after Peugeot itself had moved on from the model in 1975, the 404 was still being produced in Argentina under license until 1980 and in Kenya for another 11 years after that. The looks are unmistakable with the sedan’s rear as one of the last hurrahs for tail fins. Despite those (which aren’t intrusive or excessive), everything else about it is tasteful and well proportioned, nothing is overdone and the car still looks as good today as it did in 1960. However, despite the sedan’s great looks, the Coupe version is of course the one to lust after in the 404 range. How can such a good looking and fairly rare little car be so relatively inexpensive today? And it’s not like they’re hopeless piles of inferior parts put together, these were properly thought out to be top of the range models. Plus, they may clearly look like they belong in the 404 family, but there’s nothing in common with the sedans. 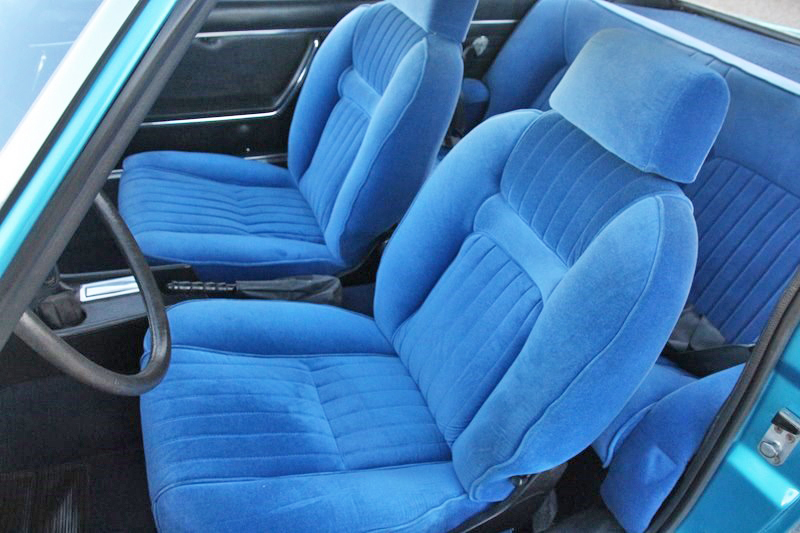 No body panels at all are shared and the interior is Coupe exclusive as well. Because they were something pretty special and built to a standard, with the body and interiors assembled in Italy and the drivetrain fitted back in France, they were not cheap. In fact when new the 404 Coupes were in roughly the same price range as an E-Type Jag! Where the Coupe fell short was in the motorization department. Yes, it looked great and it was expensive, yet it had to settle for the same bare bones 1600cc inline 4 as a lot of the rest of the 404 range, giving it well under 100hp and making it criminally slow. 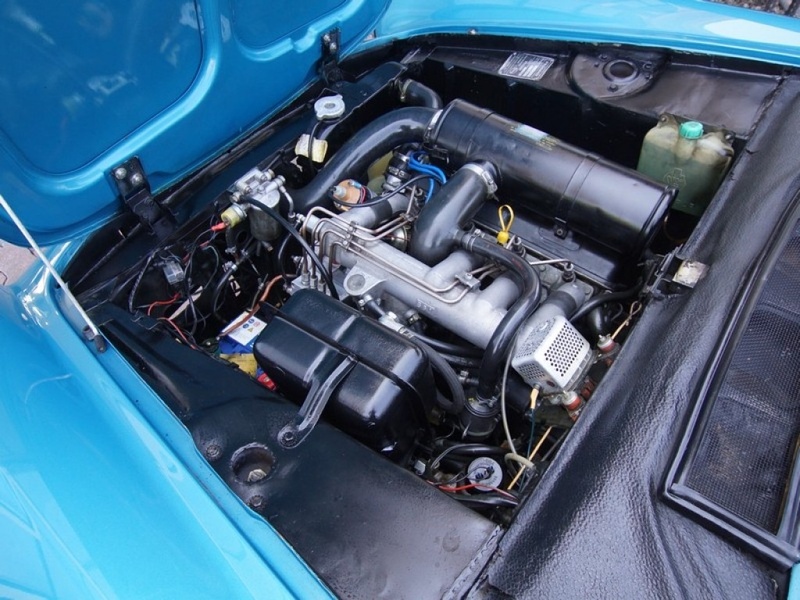 Thankfully, things got a bit peppier in 1965 when the single carb was replaced by Kugelfischer fuel injection similar to the one used on the BMW 2002 tii, bumping up hp a bit and making the 404 Coupe a more dynamic, driver friendly machine. It’s tough to fit the 404 Coupe in a category; there are grand tourer elements but the power just isn’t there to really merit the designation and for the same reason, you can’t call exactly it a sports car. 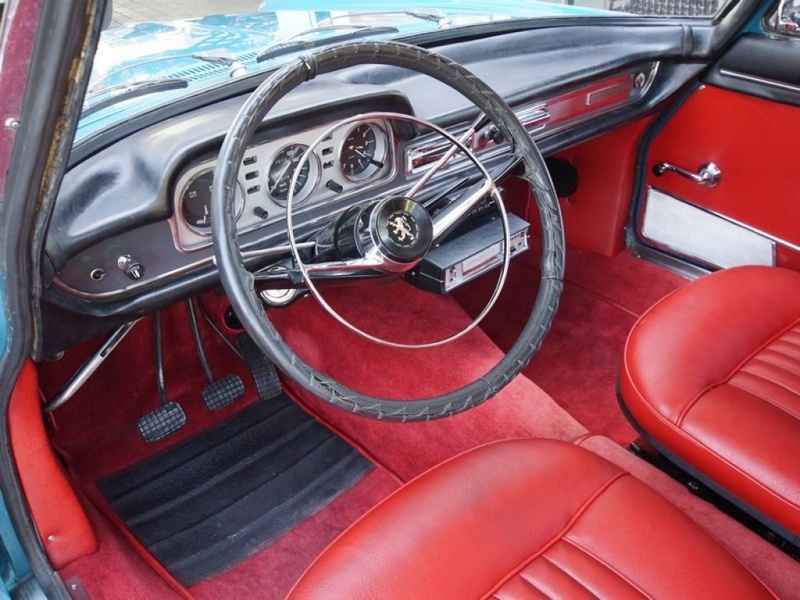 Essentially, these are probably closer to the American concept of “personal luxury car”, kind of like the Thunderbirds were, only on a smaller, more refined scale naturally adapted for the European reality. 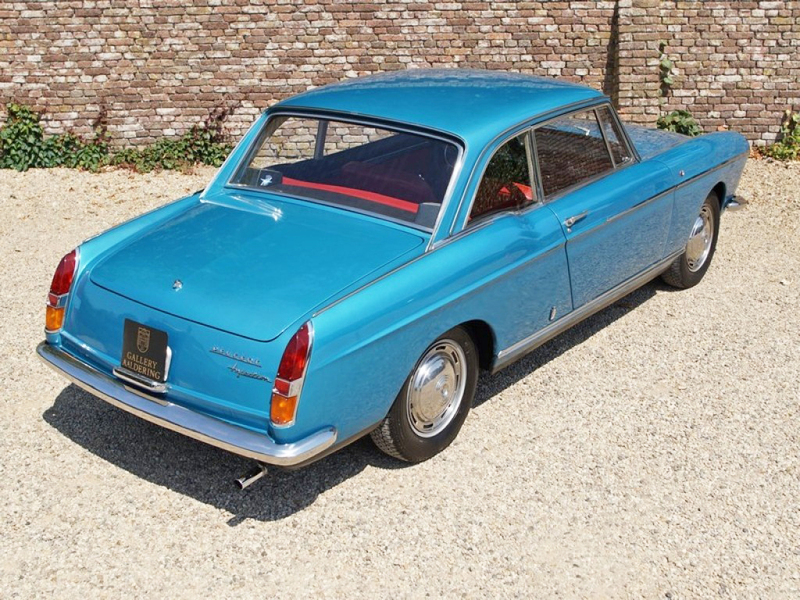 Under 7000 units of the Peugeot 404 Coupe were made. Today, in Europe a really great (injection) one will set you back around 30.000 Euros (roughly 33.500 USD) but for 20 you can already get something pretty regret and ready to be thoroughly enjoyed. For the relatively low price tag you’ll own a comfortable cruiser with achingly beautiful Italian design – extremely reminiscent of the Ferrari 250 GTE – and pretty reliable mechanics. The beautiful 1967 404 Coupe featured here was for sale recently at the well know Gallery Aaldering in the Netherlands, a factory-sized candy store for petrolheads. (All picture credits to Gallery Aaldering. Post not sponsored by this company). While the 404 Coupe fits seamlessly in the 404 family’s design language and heritage, the 504 Coupe exists almost independently from the rest of the 504 lineup. This isn’t a bad thing and it’s not like you can’t see 504 DNA in it, in fact you can see more than that since the car is very clearly in continuation with the 404 Coupe looks, especially at the back where the panoramic rear window provides the clearest point of commonality between the two generations of Peugeots. However, the 504 is a far more dramatic and radical take on the Coupe body style than the 404 was. While the older model had a pretty much identical front to the one on the sedan version, with the 504 there’s a bold departure from the sedan’s appearance with new dramatic lines which lean the front forwards and down. Instead of the massive headlines you get (either 2 or 4) narrow ones with the grill being quite a lot smaller as well. Everything about the car is so much more aggressive than the rest of the 504 lineup; the Coupe seems to exist in a perpetual state of anticipation, ready and eager to take off at any moment. At the rear, the 504 Coupe is much more reminiscent of its sedan counterpart, but the iconic break/curve at about 1/3rd of the trunk lid in the sedan is both differently located and far less accentuated in the Coupe, a good decision since it makes it feel much more in tune with a majority of straight lines which rule the back of the car. 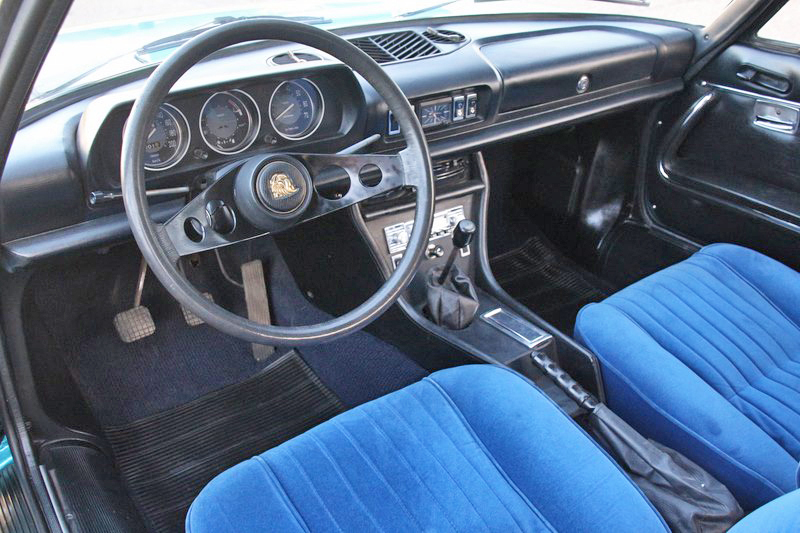 Looking at the 504 Coupe as a whole, it’s obvious that it’s one of those designs which simply…works. We’d argue it’s among the best looking coupes of the 60’s/70’s, something pretty unsurprising when you remember that it is an Aldo Brovarone creation after all, the man who designed one of the best looking Ferraris of all time, the 400 Superamerica Aerodinamico and who also penned the radical Lancia Gama Coupe and of course, the beloved Dino. 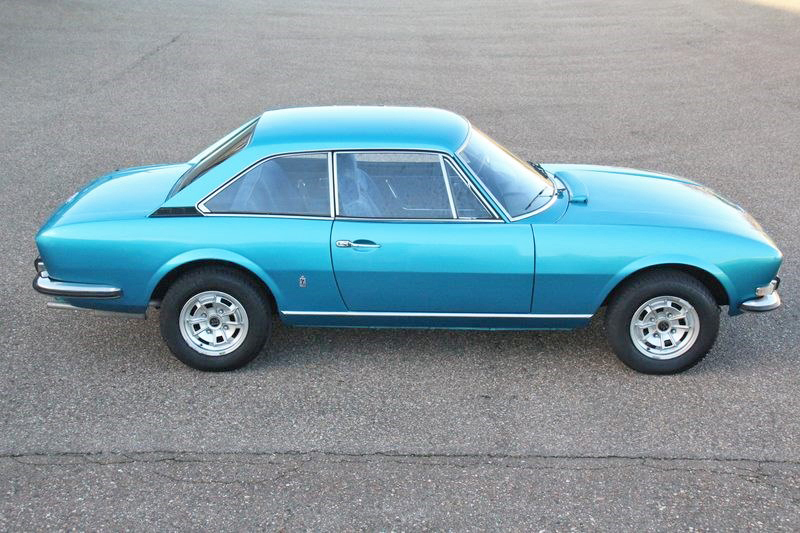 Funny enough, the style of the 504 Coupe is more closely to one of its non Pininfarina, non Brovarone contemporaries, the Fiat 124 Sport Coupe Type BC, so much so in fact that at a distance and depending on the angle, you’d be forgiven for mixing the two up at first glance. The 504 Coupe (and its Cabriolet variant) began production with an inline 4, 2L engine which was good for just a little under 110hp. Again, not exactly a performance oriented ride but like the 404, it was never meant to be a canyon carver. 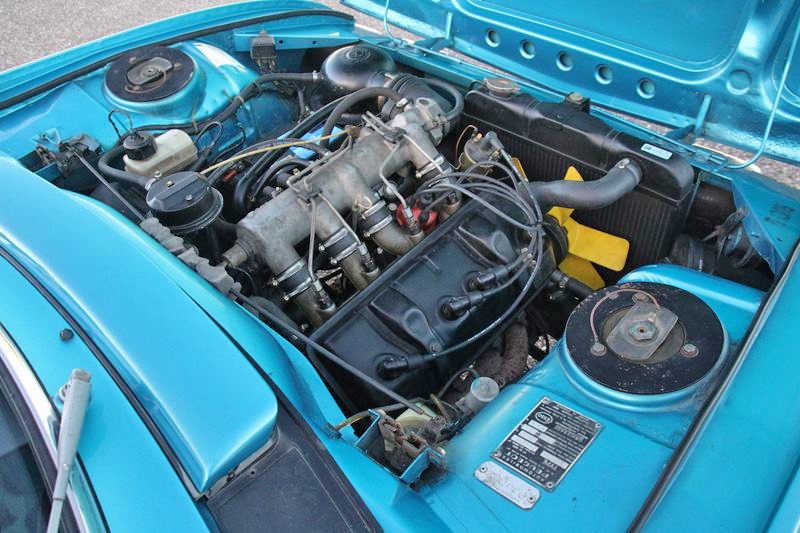 Still, attempting to minimize performance shortcomings from 1975 on the 504 Coupe was fitted with a PRV (Peugeot, Renault and Volvo) 2.7L V6 which ended up being used in…well, a bunch of stuff. From the Citroen XM, to the Alpine A610, Lancia Thema, Volvo 760 and everything in between including the DeLorean. However, the PRV V6 isn’t exactly known for its great performance and as far as reliability, that’s a rabbit hole in which we rather not fall down today, but suffice to say that for an engine which was in production for almost a quarter of a century, there are different versions which gave people different experiences. Unsurprisingly though, there was still demand for the 4 cylinder cars even after the 6 cylinder versions were meant to completely replace them. The difference in power wasn’t earth shattering and the 4 cylinder was more familiar and more proven territory. 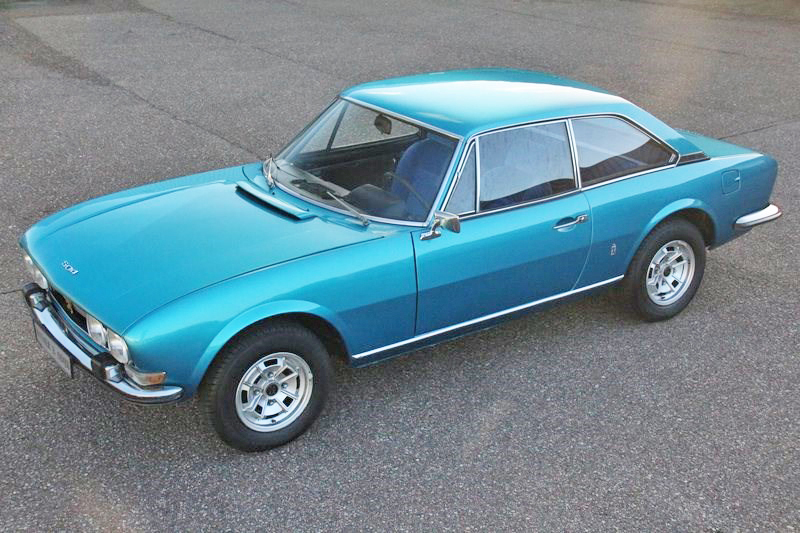 Today as far as prices go, the 504 Coupe is cheap and we mean ridiculously cheap. 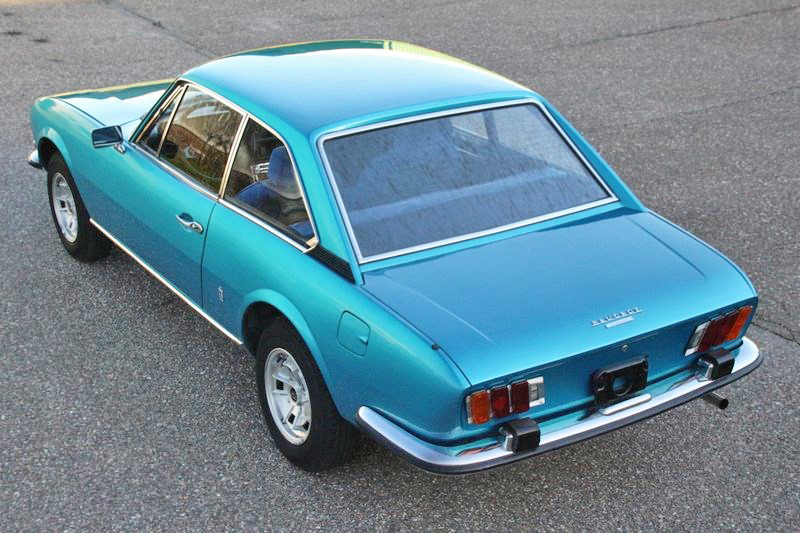 Cheaper than any Pininfarina designed classic European coupe has any right to be. It was in production for a while and later cars eventually got these awful boxy America style bumpers, so you definitely want a first series car. For the 4 cylinder versions, around the 15.000 Euros mark (roughly 17.000 USD) is about as high as they’ll go in Europe and that is for a so clean you can eat off the engine bay kind of car. The 504 Coupe isn’t as rare as the 404 Coupe since it more than doubled its production number, but it’s still a fairly rare car, especially when you remember that in the context of the 504 production run, it’s a speck of dust! As was the case with the 404 line, the 504 family sold by the millions. Think the 404, 1960 to 1991 production run was impressive? The 504 was made from 1968 until 2006! Long after production had ended in France in 1983, Nigeria was still cranking out 504 by the hundreds of thousands. Its successor the 505 came and went and the 504 remained unbothered. 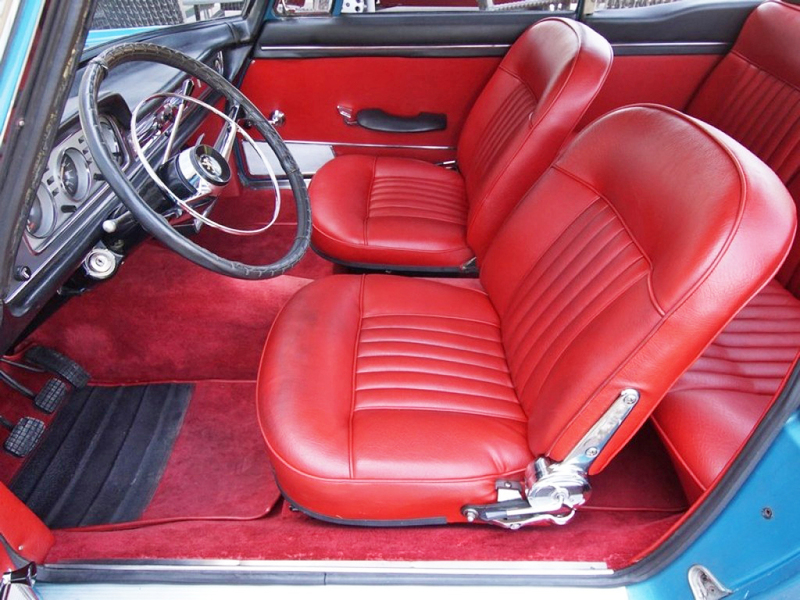 The stunning 1972 504 Coupe featured in this article, with its highly desirable matching velour interior was for sale in the Netherlands by Witmer and Odjk (All picture credits to Witmer and Odjk). Post not sponsored by this company). The 504 coupe really is one of the cheapest, greatest ways to get into the classic car world because it ticks all the boxes: it’s cheap to buy, cheap to maintain (if you keep an eye on the rust because it’s a 70’s car so no way around that and you go with the 4 cylinder just in case), it’s not common, it’s beautiful, it’s comfortable…there’s very few other options capable of giving you so much for so little. 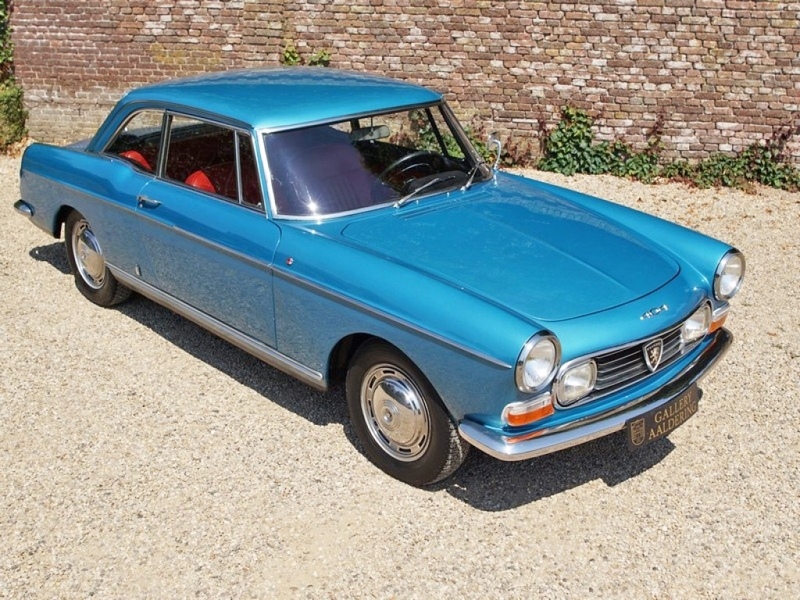 Prices went up a bit since Peugeot introduced its 504 Coupe inspired concept car last year – the “E-Legend” – but despite this, the original legend is still a hell of a bargain.